This Thursday afternoon, April 11, is a great time to take a walk on Beacon Avenue for the Second Annual Kimball Elementary School Art Walk. From 3:30 to 5 p.m., businesses on Beacon Avenue between Tippe and Drague (3315 Beacon Avenue South) and Beacon Hill Dental Associates (3051 Beacon Avenue South) will display art by Kimball students. Businesses participating will be marked with bright, colorful flags. 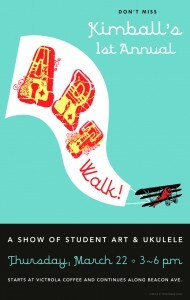 The street will also be lined with booths featuring art activities, and the school choir and ukulele band will perform. All neighbors are invited to see, hear and make some art with the Kimball community and friends. Neighbor Anne wanted to let us know that the Kimball Elementary School Open House is tonight, January 30, from 6:30 to 7:30 p.m. in the Kimball school library at 3200 23rd Ave. S.
School tours for incoming kindergarteners and their families are on February 5 and 13 from 9:30 to 10:30 a.m. Call 252-7280 to reserve a spot on the tour. 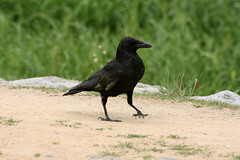 Crow photo by Chris Gladis via Creative Commons/Flickr. See the story of the whale here. The Garden House is located at 2336 15th Ave. S.
Photo by Lexie Flickinger via Creative Commons/Flickr. Several teachers at Beacon Hill schools are using the DonorsChoose.org online charity website to appeal for donations from the community for supplies needed in their classrooms. 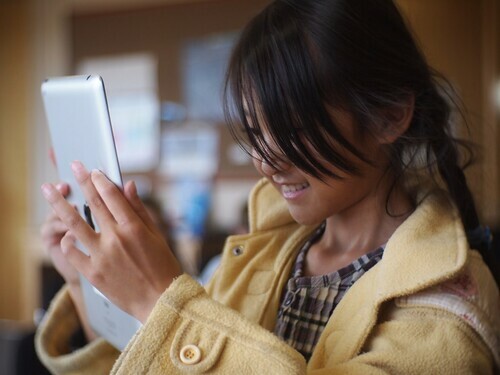 “iPads are transforming education at the primary grades! Children being able to connect with math, writing, and reading just through the touch of their hands is incredible! Sadly, my district’s budget has not kept up with advances in technology (i.e. iPads) – our computers are 10+ years old and slow. The amount remaining is $940 for a 64G New iPad with cover, sales taxes, fees, and an optional $148 donation to help support DonorsChoose.org. Over at Beacon Hill International School, BHIS Art Specialist Mary Howard Logel is requesting donations for art supplies: watercolor paints, brushes, permanent black markers, watercolor paper, and a portable drying rack. The project totals $835, with $333 remaining to raise. An anonymous donor is matching donations to the project. Also at BHIS, Ashley Meier is raising funds for six iPads for classroom use. At Kimball Elementary, Laurie Roseto wants to fund a book cart and privacy partitions. Another Kimball teacher, Mary Gallagher, needs chairs for her first grade class to use. High school teachers are also in need of supplies. At Franklin High School, Melissa Anne Povey is raising funds for 31 science books, including Women in Science, The Joy of Chemistry, The Physics of Baseball, and more. You can see all the Seattle School District DonorsChoose appeals here. 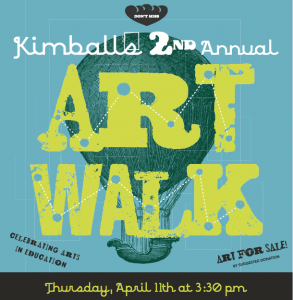 The first annual Kimball Art Walk is next Thursday, March 22 from 3 – 6 p.m. Beacon Hill businesses will display artwork by Kimball Elementary School students, and there will also be performances by the Kimball Elementary Ukulele Band, bead-making demonstrations, and more. The art walk starts at Victrola Coffee and will continue to El Quetzal, Hello Bicycle, Bar Del Corso and beyond on Beacon Avenue South. Each site will host examples of Kimball kids exploring science, social studies, history, etc. through the arts. Victrola Coffee is located at 3215 Beacon Ave. S.
Parents of Beacon Hill youngsters should note: Kimball Elementary School is hosting a Kindergarten Open House tomorrow, February 17, from 6:30 to 8 p.m. There will be an overview of kindergarten and of Kimball’s program. Kimball is located at 3200 23rd Avenue South. 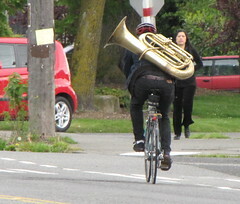 It's not every day you see someone cycling down Beacon Avenue with a tuba on his back, but this fellow did it on Saturday. Photo by Wendi. Tasha’s Bistro Café will be opening soon at the former Culinary Communion house on Beacon Avenue South. We spoke on Saturday with owner Tasha Sawabini, who also operates the Elegant Gourmet Catering company. She told us that the restaurant will be serving Northwest cuisine, and that she hopes to be able to open by Memorial Day weekend. The current plan is for the café to offer brunch on Saturday and Sunday and dinner on Thursday, Friday, and Saturday. The Seattle Office of Emergency Management is hosting a disaster preparedness workshop at the Beacon Hill Library, 2821 Beacon Avenue South, on this Tuesday, May 4 from 6:30-7:45 pm. At the “Seattle Neighborhoods Actively Prepare” workshop, you’ll learn simple steps to safeguard your home before disaster, take a quake-safe action wherever you are, and create a neighborhood team. The workshop is free, and no pre-registration is necessary. The PTA at Dearborn Park Elementary will host its first Dearborn Park Bazaar and Festival on May 22 from 11:00 am to 4:00 pm. They will sell garage sale items, arts, crafts, plants, and food, and have games and performances. For information on renting space to sell your own items or performing at the event, please contact Nelrica Mosqueda or Angela Sheffey at 206-252-6930 or email dearbornparkpta@yahoo.com. The group also needs monetary and/or gift certificate donations to make the event happen. 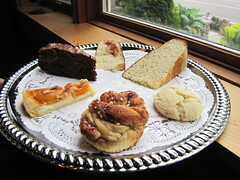 Some of the treats that were served at A Touch of Sweden's open house on Saturday. Photo by Wendi. The Beaconettes, an all-women a cappella singing group who “cleverly satirize Seattle’s icons, issues and celebrities with a specific focus on Beacon Hill and neighborhoods south of the ship canal,” will be performing at the Mount Baker Community Center on Thursday, May 13 from 7:00 to 9:00 pm to help raise money for Kimball Elementary’s Annual Fund. The suggested donation is $15 per person. Contributions will help support Kimball’s Annual Fund which pays for arts and afterschool programs, bilingual translations, field trips, books, school supplies and more. State Senator Adam Kline (D-37th District) will stop by Quarters 1 at the PacMed Campus on May 11 to meet with community members and hear what his constituents have to say. The meeting is scheduled for 7:00 pm on Tuesday, May 11, in Quarters 1 at the northwest corner of 14th Avenue South and South Judkins Street. If you are driving, please park on the street. If you didn’t get your Census form mailed in, you should expect a knock on the door soon. Census takers are out and about this month visiting households that didn’t return their census forms. In most cases, census workers will make initial visits during afternoons, early evenings and weekends. The census taker must present an ID badge that contains a Department of Commerce watermark and expiration date. The census taker may also be carrying a black canvas bag with a Census Bureau logo. The census taker only will ask you the questions that appear on the 2010 Census form. The 2010 Census taker will not ask for social security number, bank account number or credit card number and will never solicit for donations or contact you by email. Congratulations to the Pacific Asian Empowerment Program, M C Foodstore, Graham Street Grocery, and Beacon Hill Foods for getting perfect scores of zero! Thanks to everyone who sent in notices this time! 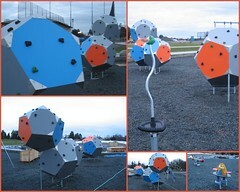 New play equipment going in at Jefferson Park looks like a sculpture. Photo by Joel Lee in the Beacon Hill Blog photo pool on Flickr. ROCKiT space’s “open mic” Saturdays start tonight from 7 to 9pm. Free, donations welcome, snacks and drinks by donation. BYO beer/wine if desired. United Way of King County is looking for volunteers to read books to kids, one-on-one, for just an hour a week. Increasing a child’s listening vocabulary can set them up for academic success. Readings would take place at United Way’s Beacon Hill location: The Refugee Women’s Alliance, 6230 Beacon Avenue South. A decision of “Determination of Non-Significance with conditions” has been made by the city’s Department of Planning and Development (DPD) on a land use application to install 1,500 square feet of landscaping and vegetation restoration in an environmentally critical area at 2110 Beacon Avenue South. The awarded funds will be matched by a portion of an additional $1.9 million in community matching (cash, volunteer labor, donated professional services, and donated materials). The Department of Neighborhoods’ Large Projects Fund annually provides cash awards of up to $100,000 to neighborhood organizations committed to building a better community. The funding is matched by locally raised money, donated materials, and volunteer labor. The 2009 awards range from $28,000 to $100,000 and communities have pledged to match the city’s $1.3 million contribution with resources valued at nearly $1.9 million. Since the program was created 21 years ago, the Neighborhood Matching Fund has awarded over $42 million with a community match of more than $64 million. Projects have involved nearly 65,000 volunteers who have donated over 400,000 work hours. The full award news release (PDF) is here (linked from here). Other individual award recipients are in another PDF here, or at CHS, the Capitol Hill Seattle blog.